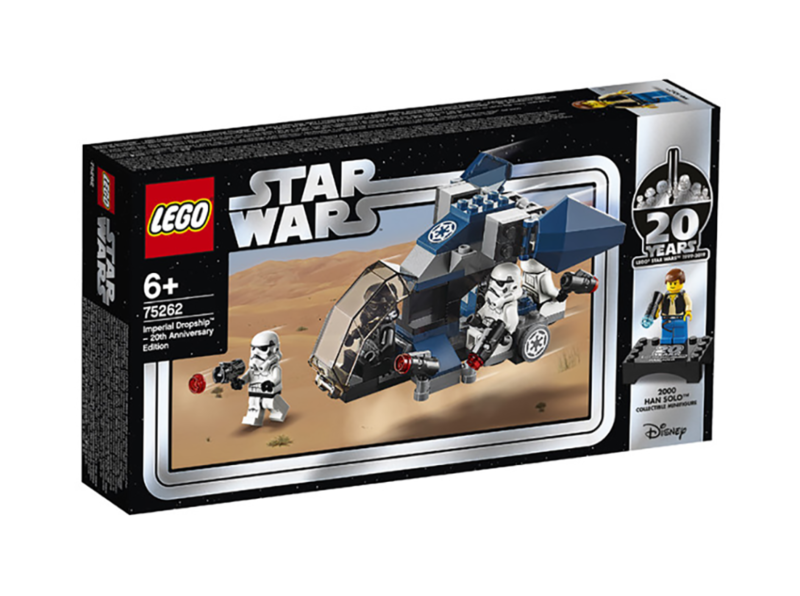 The set is a new version of the Imperial Dropship 7667 from 2008. Now it comes in dark blue instead of the regular blue colour. There are two nice functions, an openable cockpit and a trooper drop-off platform. I think it is better than the old one. In the set there are 5 Minifigures, one Shadow Trooper, three Stormtroopers and also a 20th anniversary minifigure.